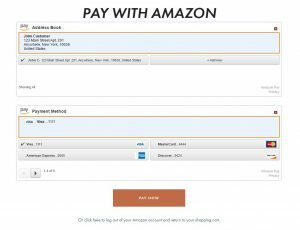 A new Craft Commerce Payment Method plugin for accepting Amazon Pay from your customers! This Craft Commerce plugin creates a new payment method that integrates Amazon Pay. Settings include Sandbox Mode, button type, color, and size, and whether to allow for international orders. You may use this plugin for one site, and you’ll receive plugin updates and support for one year. The pay button displayed on the cart page. 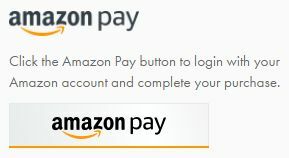 Upon click, customers log in to their Amazon account and are redirected to the payment page to complete their purchase. All of this happens on site. These widgets are used by the customer to complete their purchase on your site. After the customer pays, they are redirected to the standard receipt page for Craft Commerce. You must have an active merchant account with Amazon Pay. For more information and sign-up, please visit the Amazon Pay website. Tags: craft commerce, amazon pay, payment method, payment gateway, amazon payments.